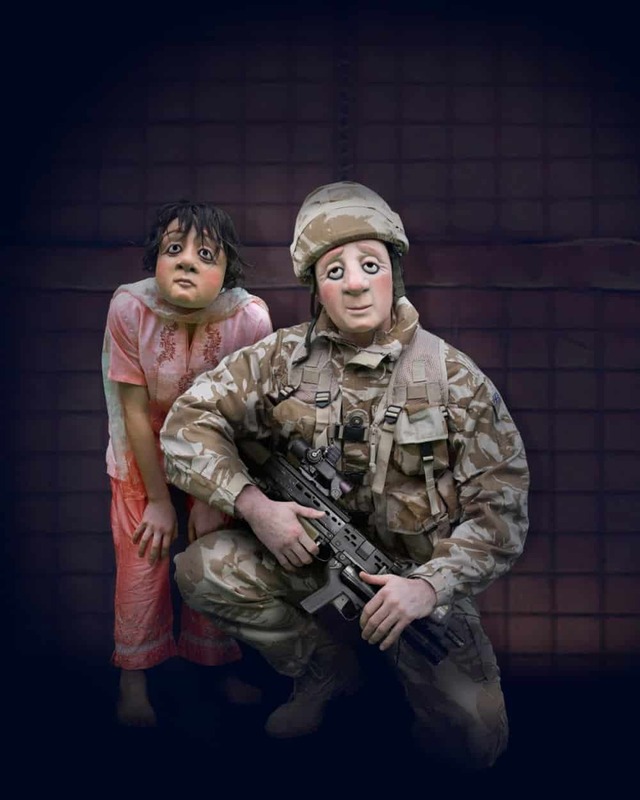 An emotional full mask production capturing the struggle of dealing with PTSD. Ryan is there to see the world, learn a trade, get a life. Training’s complete, combat is a buzz. But on one particular hot and desperate tour of duty, Ryan sees things he can’t talk about, to anyone. And when he returns home, the trouble really begins. A Brave Face explores Post Traumatic Stress, an unseen and often unrecognised injury of war, and the impact it can have on even the closest of families. With compassion and fearlessness, Vamos brings its trademark, wordless, full mask style to a story that needs to be told. Praised by press and public alike for its consummate full mask skills, engaging storytelling, physical dexterity and emotional insight, Vamos continues to involve and engage audiences across borders and boundaries, taking on challenging themes with poignancy, humour and humanity.